Two trailers in one week! Square-Enix has just released a new trailer for Kingdom Hearts HD 2.5 ReMIX to be shown at GameStop and EB Games retailers everywhere. This trailer showcases more scenes in English from the Re:coded HD Cinematic Story as well as the new content available through each entry such as the Replica Data Battles and the Lingering Will. Check it below! Thanks to KH13 for the video trailer! 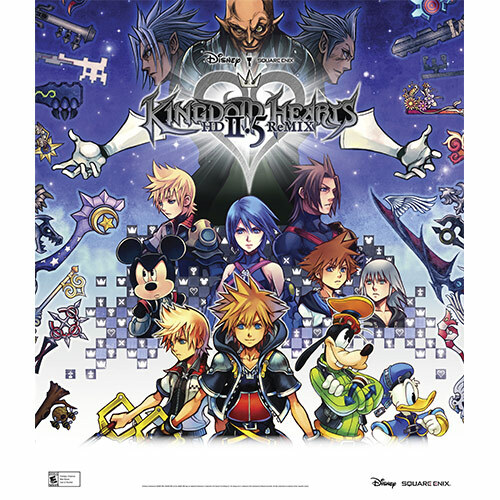 In addition, GameStop is also offering an opportunity for Power Rewards members to take advantage of a limited edition 24 x 36 official poster of Kingdom Hearts HD 2.5 ReMIX for 6500 GameStop Power Rewards points. See below! The mysteries of Kingdom Hearts III will probably be unearthed very soon everyone. For more on the future of Kingdom Hearts, stay close with us on KHRecharged!